UNISON is the largest union in schools, representing over 250,000 members in support staff roles across the UK. 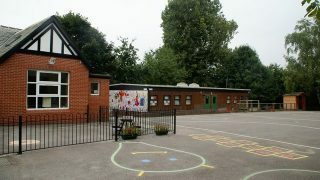 UNISON represents staff across all types of schools and special units, including academies in England. We negotiate nationally, regionally and locally to improve pay, terms and conditions and job security for all school workers. UNISON representatives help to ensure a safe working environment. 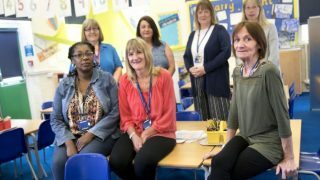 UNISON campaigns to improve the professional status and recognition of schools support staff and provides training and briefings on a range of professional topics and skills. 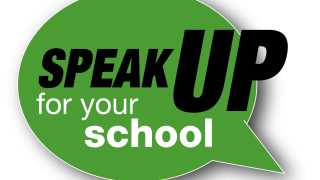 Speak up for schools: Have your say on the impact of funding cuts to schools. Stars in Our Schools is UNISON’s annual celebration of school support staff, with events held all over the UK. 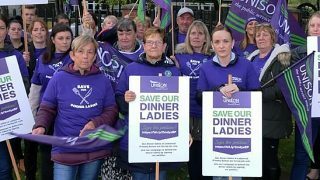 All the latest news for school staff, including the consultative ballot result, UNISON’s legal win and fighting cuts at a multi-academy trust. Print out these A3 photoboards and use them in photos on social media to promote the schools ballot. Includes space to write your own message. PDF download only. An A4 poster for noticeboards publicising the schools ballot. Includes space to write in local contact details. A leaflet for UNISON members in schools on the consultation ballot. Visual of all items available for the Stars In Our Schools celebration day (23 November). With ordering details. A5 public-facing leaflet about teaching assistants. Stars In Our Schools 2018 poster. General Data Protection Regulations (GDPR): factsheet for school support staff. Sets out your responsibilities and what to do if things go wrong. Dealing with health needs in schools A5 leaflet. Are you an apprentice in a school? Why should a schools apprentice join UNISON? Learn more about apprentices’ rights and how UNISON supports apprentices. An A4 poster for school suport staff outlining the NJC pay claim for 2018/9. Supporting pupils at school with medical conditions – branch advice on statutory guidance (England). Also useful as guidance for Scotland, Wales and Northern Ireland. A4 booklet. UNISON guidance on changes to school food in England (2014). Leaflet setting out all the specialist and generic benefits to school support staff of belonging to UNISON. Poster setting out all the specialist and generic benefits to school support staff of belonging to UNISON. 8% cuts to schools. What can you do about it? Leaflet outlining the issue and how to involve the school and community in fighting the cuts. Leaflet for school learning support staff in Wales setting out the benefits of UNISON following on from compulsory registration with the EWC. BILINGUAL.